Welcome to the Enhancing Audit Quality (EAQ) webpage! 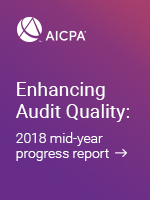 Through our EAQ initiative, we provide you with resources and education to help you improve the quality of your audits where it's most needed. 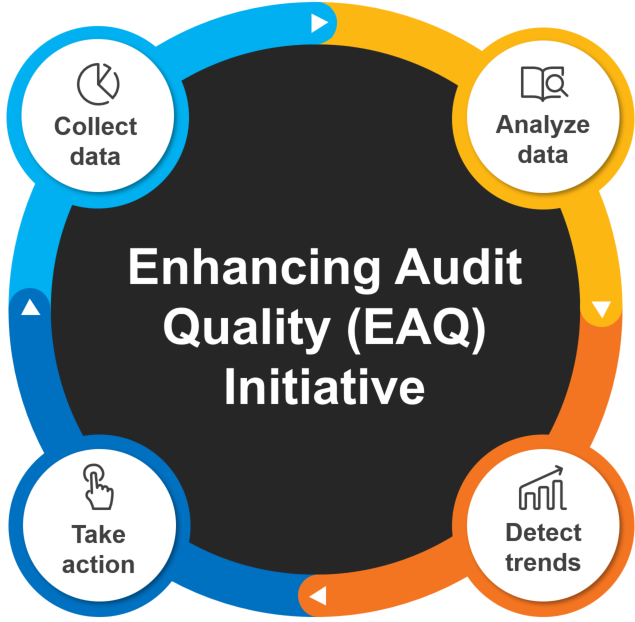 EAQ transforms audit data into valuable insights and tools to support auditors, auditees and other stakeholders. Watch this video to learn more. View all annual EAQ Highlights and Progress Reports. 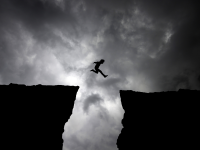 Identifying, assessing and responding to risks of material misstatement are at the core of every audit. 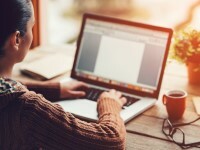 However, a recent survey of peer reviewers found over half of 400 audits they reviewed were non-conforming because of non-compliance with the risk assessment standard. This free risk assessment toolkit has resources to help, such as a risk assessment template, an internal inspection aid and a staff training workshop. When auditing financial statements, it’s critical that auditors properly consider accounting estimates. Non-conformity in this area is the most common audit issue detected by practice monitoring programs worldwide. To support compliance, we are exploring changes to AU-C 540. 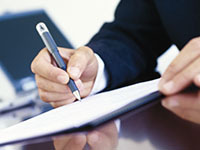 In addition, we’ve launched a suite of revenue recognition resources at www.aicpa.org/revenuerecognition, and we promote greater understanding of valuations by offering the Certified in Entity and Intangibles Valuations (CEIV) and the soon-to-be-launched Certified in Valuation of Financial Instruments credentials. 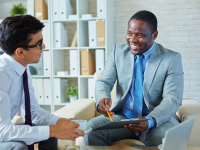 Obtaining an understanding of a client’s internal control is fundamental to any audit. However, many auditors struggle with the identifying controls, evaluating their design and implementation, and testing their operating effectiveness. We are here to help, and in 2019 we will launch a new toolkit focused on common internal control misconceptions. The most common audit quality issue isn’t related to a recently issued standard or a complex area of guidance—it’s a lack of adequate audit documentation. These free audit documentation resources will help you document appropriately and comply with the standards. The toolkit includes model working papers, a tool for evaluating SOC 1 reports, a training program firms can present to their staff and more. The SOC Suite of Services have become a profitable business line for many firms. As more CPAs begin offering these services, we are committed to helping our members understand and comply with standards unique to SOC. With practitioner guidance, tools and other resources, we’re making sure CPAs have access to the resources they need to provide high quality assurance services.